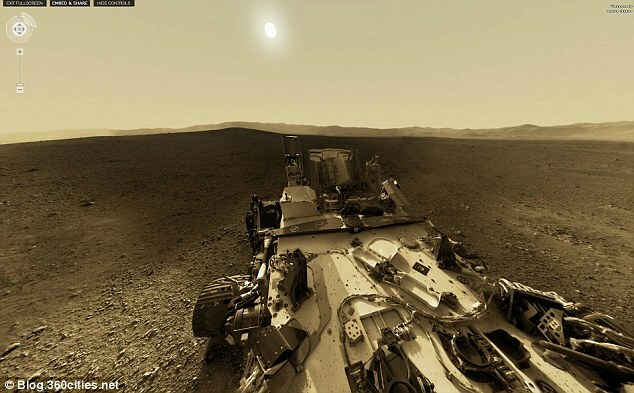 The Curiosity rover is a robot exploring the Gale Crater on Mars. It is roughly the size of car and has Asome of the most advanced scientific equipment on board. It landed on Mars on 6 August 2012 and has been sending back images and other information back to earth. 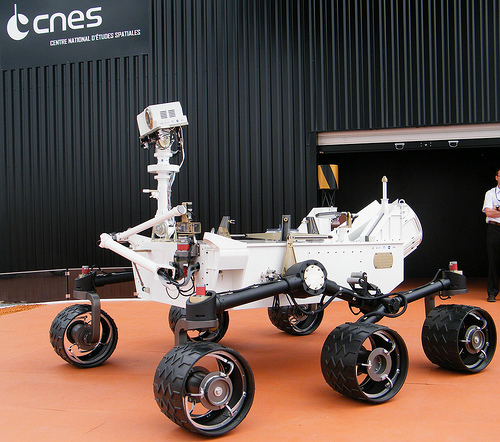 Curiosity has significant communication backup resources (redundancy). This includes an X band transmitter and receiver which could communicate directly to Earth at speeds of up to 32kbit/s, and a UHF Electra-Lite software-defined radio . The later device is for communicating with the two Mars orbiters ( Mars Reconnaissance Orbiter and Odyssey orbiter ) at speeds of up to 2Mbit/s and 256kbit/s respectively. The orbiters are expected to be the main stream for data return to Earth, because the orbiters both have larger, more powerful antennas than Curiosity, allowing for faster transmission speeds. Unfortunately each orbiter is only able to communicate with Curiosity for about eight minutes per day. Communication can also take place via a small deep space transponder on the descent stage and a solid-state power amplifier on the rover for X-Band. There are also two UHF radios on board the rover. The Jet Propulsion Laboratory (JPL) is the central data distribution hub where selected data products are provided to remote science operations sites as needed. JPL is also the central hub for the uplink process, though participants are distributed at their respective home institutions. At landing, telemetry was monitored by three orbiters, depending on their dynamic location: the Mars Odyssey, Mars Reconnaissance Orbiter and ESA’s Mars Express satellite.